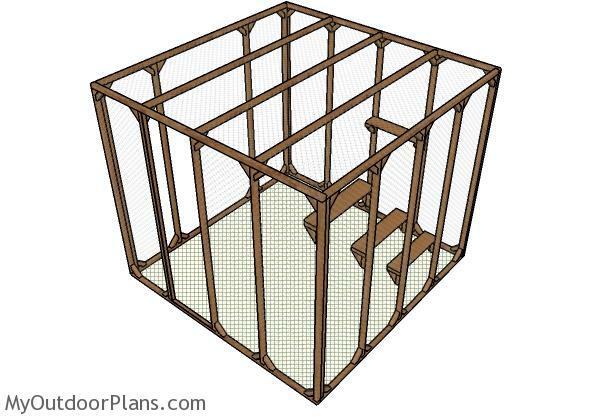 This step by step diy woodworking project is about a catio plans. If you love your furry pets and you are afraid that they can be attacked by predators or they can get hit by a car, building a catio is a great way to help them spend time outside and bath in the sun. 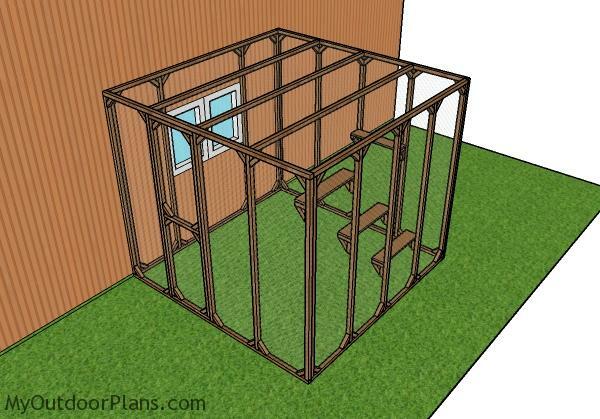 I have designed this catio so you can save money, time and you can get the job done super easily with basic tools. 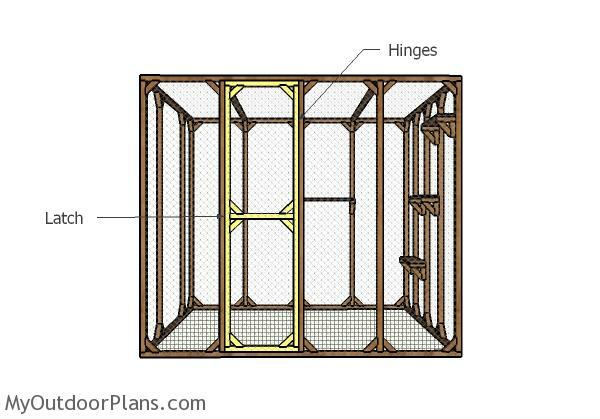 Take a look over the rest of our woodworking plans, if you want to get more building inspiration. The first step of the project is to build the front wall for the catio. Cut the components from 2×2 lumber at the right dimensions. Drill pilot holes through the plates and insert 3 1/2″ screws into the studs. Place the studs equally spaced and then make sure the corners are square. Align the edges flush for a professional result. Fit the diagonal braces to the corners. Make 45 degree cuts to the braces and secure them into place with 2 1/2″ screws. The next step of the project is to build the sides walls for the catio. Cut the components from 2×2 lumber. Drill pilot holes through the plates and insert 3 1/2″ screws into the studs. Place the studs equally spaced. Fit the diagonal braces to the corners, so you enhance the rigidity of the frame. 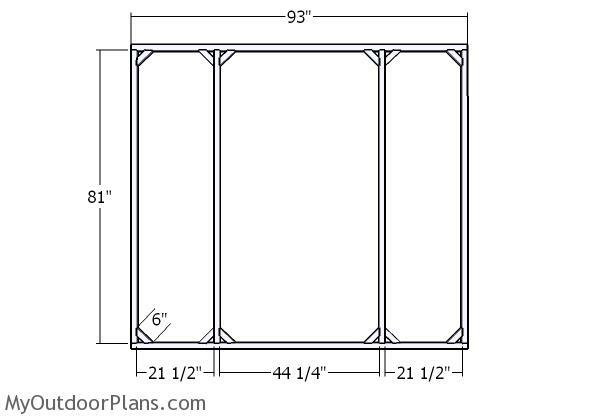 For the back wall of the catio, that goes against the wall, you need to frame an opening. I really recommend you to adjust the size of the opening to suit your needs. The next step of the project is to assemble the frame of the catio. Join the walls together tightly. Align the edges flush, drill pilot holes and insert 2 1/2″ screws to lock them together tightly. Make sure the corners are square for a professional result. 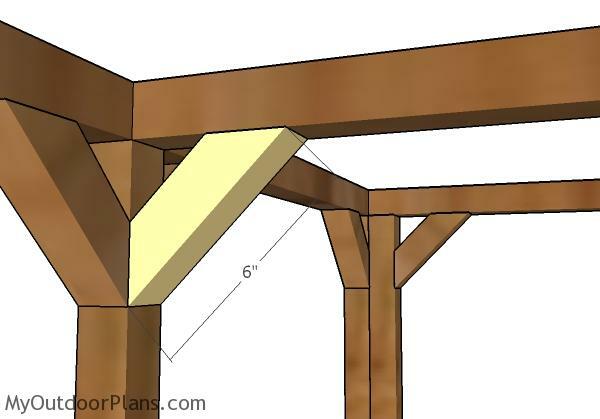 Fit the 2×2 rafters to the top of the catio. Drill pocket holes at both ends of the rafters and secure them into place with 2 1/2″ screws. Make sure the corners are square and align the edges flush. Fit the 2×2 braces to the top of the catio. Cut both ends of the braces at 45 degrees and then secure them into place with 2 1/2″ screws. Build the shelves for the catio, so the cats can have some fun. 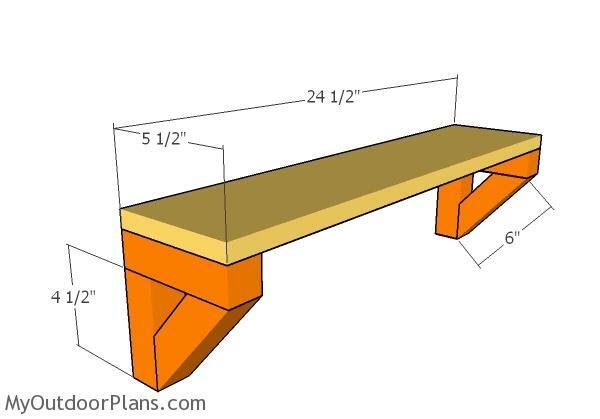 Use 2×2 lumber for the supports and 1×6 lumber for the shelves. Assemble the shelf supports and then secure the shelf into place with 1 5/8″ screws. 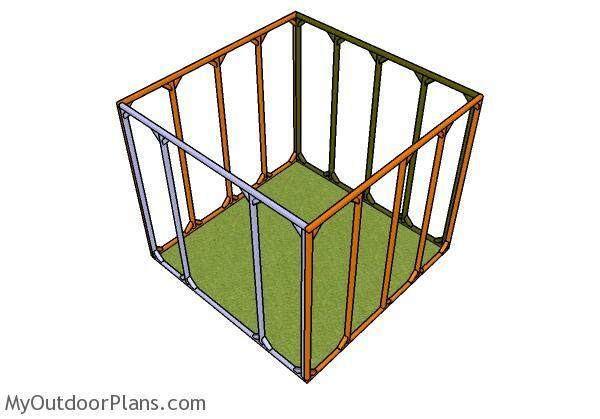 Fit the shelves to the interior of the catio, using the pattern shown in the diagram or using your own. The possibilities are endless so you should research this for a neat result. Fit the hardware cloth to the exterior of the catio. Use staples to lock the mesh into place tightly. Align the edges with attention and make sure, so you can adjust it to fit into place. 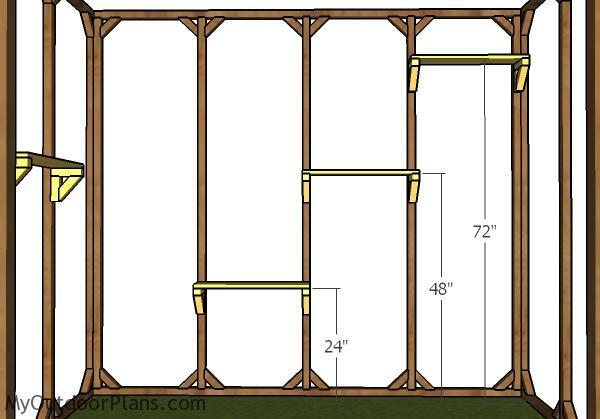 Build the door frame from 2×2 lumber. Drill pilot holes and insert 2 1/2″ screws to lock the frame together tightly. 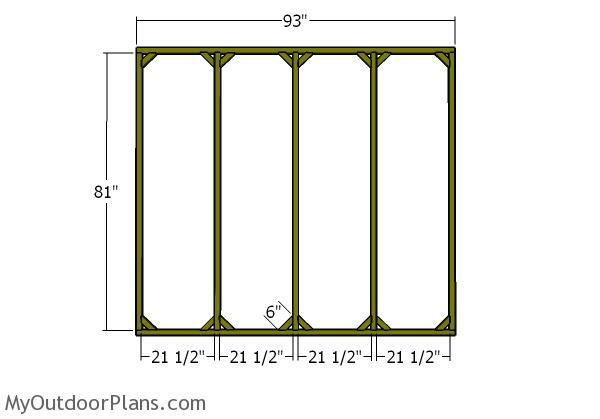 Moreover, you need to use 2×2 lumber for the 6×6 braces. 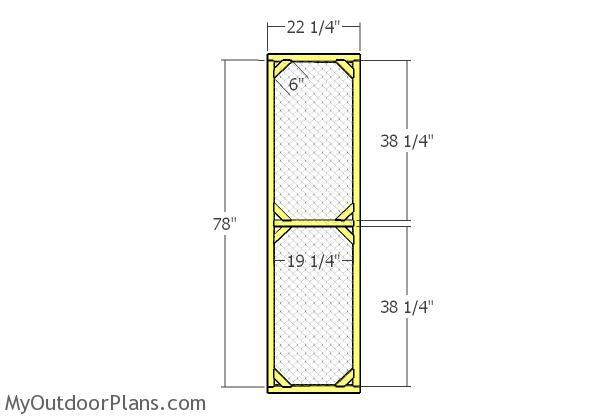 Drill pilot holes and insert 2 1/2″ screws to reinforce the frame of the door. Fit the door into place and then secure it to the frame with hinges. Make sure the door opens and closes properly and install a latch, so you can lock it into place tightly. 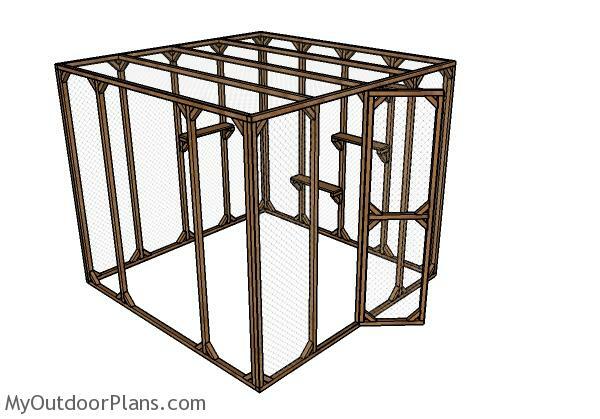 This catio is large enough to accommodate a few cats, being ideal for any home. 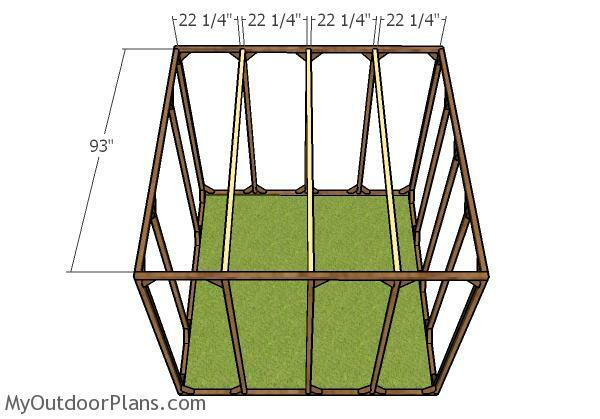 You should just attach the catio to your house, so the cats can enter and then anchor it into place using 2×2 stakes. Once you are don building the catio, you need to take care of the finishing touches. Smooth the edges and make sure there are no protruding corners, wires or nails. 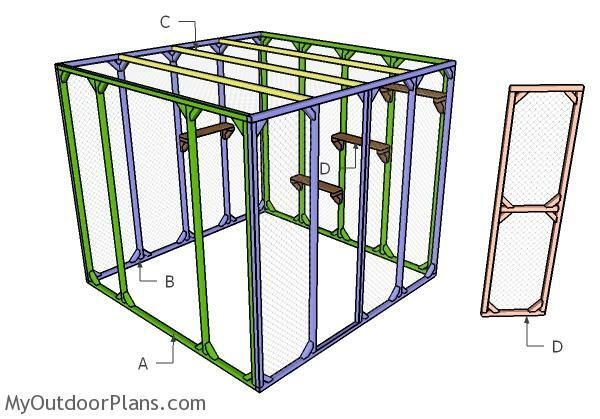 Apply a few coats of paint to the frame of the catio, if you didn’t use cedar or other weather resistant lumber. This woodworking project was about catio plans free. 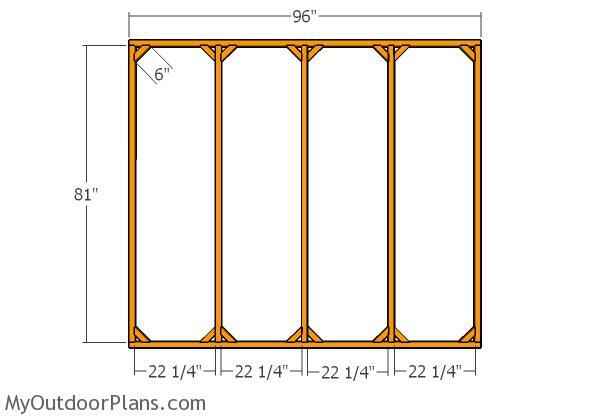 If you want to see more outdoor plans, check out the rest of our step by step projects and follow the instructions to obtain a professional result. I am many, many miles away to be able to do that. However, my plans are free and downloadable. I’m sure the local community is willing to help you with your project, using my plans. You could hire a handyman to build this catio. If you have the Nextdoor app (nextdoor.com), you could ask if any of your neighbors with carpentry skills to help. Good luck! I don’t have a cost estimate. However, you can add the cost for all the materials in the list. I modified your plans to fit on a covered patio and it is perfect. Any way I can post pictures? Can I use heavy duty camping hooks into a grassed area, as I don’t have a outside wall too secure it too,? Do you think this will be secure enough?